Tv shows: How accurate are they? After searching for a good article on the subject, I came across THIS. This article is about three individuals whose jobs are to keep television shows scientifically accurate. One of those people is a woman named Donna Cline who is responsible for keeping the show Bones scientifically accurate. She works closely with the writers and actors to ensure that every aspect of the show is up-to-date with current scientific theories, discoveries, and vocabulary. I learned from the article that some shows are better than other shows when it comes to being scientifically accurate, but ultimately it is entertainment. Entertainment is more likely to sacrifice scientific truth than it is to sacrifice viewers and ratings. Although people like Donna try their best to keep shows informational as much as they are entertaining, she cannot make them perfect. For example, the article previously mentioned says that Bones must stay time-relevant. Some DNA and blood tests can take weeks to get analyzed, but for the sake of speed, they will cut that time out of the show to keep the plot moving and keep their viewers happy. 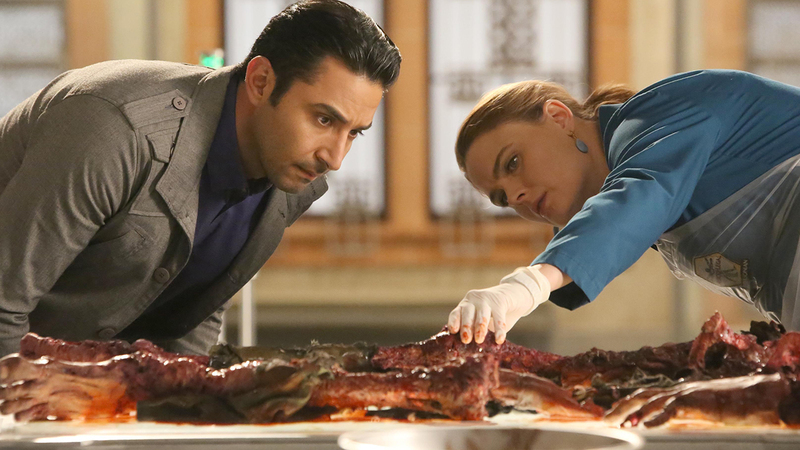 Another example from the article is that the show Bones will have the FBI and the lab analyst interact regularly because they are both friends and main characters on the show. When in real life, those two cogs in the criminal justice machine would never interact that often. In conclusion, I learned that some “facts” on television shows are true and that some are fake, but it is probably smarter to assume the latter without doing any individual investigation on the subject. This entry was posted in Uncategorized on September 16, 2016 by Jon Shanfelder. I really enjoyed reading this blog post because I remember in highs cool, I did a project that related to how “accurate” a show or movie is. We had to pick a movie and state how it was corded or not and have research information as well. I chose the movie, “Delivery man,” starring Vince Vaughn. Since that project, I began to think while watching some scientific movies or shows, is this completely true or can happen? I really liked this blog because I have wondered that before too. I think you are right that they are more worried about viewers than being scientifically accurate. I think it is pretty cool that shows go out of their way to hire people just to check their scientific facts. For now on I am going to look up scientific “facts” that they try to pass off in shows. This post reminds me of this video on a math puzzle from an episode of The Simpsons. It seems like a lot of television shows go to great lengths to make everything as realistic as possible. I wonder why these shows would go through the trouble of making these so realistic. Is it the viewbase that truly cares? I could see it being important for a show like Bones, but for the Simpsons? Either way, I find it very interesting. That is a neat thought. I would like to think that companies are not 100% caught up in making the show likable that it neglects the fact that society wants to learn, and they want to learn genuine, scientific truths. A TV show is probably one of the best ways to teach the general population if you think about it. They already like a show, they are invested, and learning something new for them while viewing it is only a bonus! I think more shows need to take a lesson or two from The Simpsons.